Users are invited to submit comments, questions, ideas, reviews or any other information concerning Kashmir Crown and the website’s contents, provided they understand that such comments will be subject to moderation and Kashmir Crown reserves the right to remove or edit such content. All such submissions should not be illegal, obscene, threatening, defamatory or infringing on privacy or on intellectual property rights of others. Kashmir Crown prohibits caching, unauthorized hypertext links to the Site and the framing of any Content available through the Site. Kashmir Crown reserves the right to disable any unauthorized links or frames & specifically disclaims any responsibility for the Content available on any other Internet sites linked to the Site. Access to any other Internet sites linked to the Site is at the user’s own risk. • Any unlawful, harmful, threatening, abusive, harassing, defamatory, vulgar, obscene, profane, hateful, racially, ethnically or otherwise objectionable material of any kind, including, but not limited to, any material which encourages conduct that would constitute a criminal offense, give rise to civil liability or otherwise violate any applicable local, state, national or international law. • Advertisements or solicitations of any kind. • Messages posted by users impersonating others. • Personal information such as messages which state phone numbers, social security numbers, account numbers, addresses, or employer references. • Messages by non-spokesperson employees of Kashmir Crown purporting to speak on behalf of Kashmir Crown. • Messages that offer unauthorized downloads of any copyrighted or private information. • Multiple messages placed within individual folders by the same user restating the same point. • Chain letters /mails of any kind. Kashmir Crown reserves the right to seek all remedies available at law & in equity for violations of these T&C, including the right to block access from a particular Internet address to the Site. This agreement shall be governed by & construed in accordance with the laws of J&K. 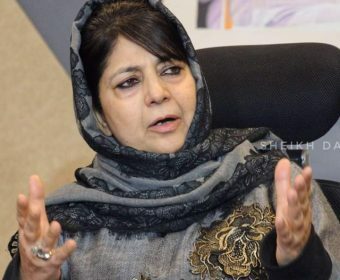 In respect of all matters/disputes arising out of, in connection with or in relation to this agreement, only the civil courts at Srinagar City and Baramulla district court of Jammu and Kashmir, India shall have jurisdiction to the exclusion of all other courts. Copy Right @ KASHMIR CROWN. You can surf the site freely but unauthorised use of this site, reproduction of content in any form, without permission from Kashmir Crown is strictly prohibited.